The SEC has awarded two whistleblowers a total of $50 million for helping the regulator bring successful enforcement actions in a case involving conflicts of interest in JPMorgan’s wealth management business, according to news reports. The SEC didn’t disclose details of the awards, only saying that one of the whistleblowers received $37 million, the SEC’s third-highest award since it started issuing them in 2012, while the other received $13 million. But both awards are in fact tied to the $307 million settlement JPMorgan agreed to with the SEC and the Commodity Futures Trading Commission in December 2015 over allegations of the firm’s failure to disclose conflicts of interest in recommending its own mutual funds and hedge funds, the law firm Labaton Sucharow LLP, which represented one of the whistleblowers, tells the Wall Street Journal. The whistleblower awarded $13 million was an executive at JPMorgan at the time of the alleged infractions, Jordan Thomas, the Labaton Sucharow attorney representing the whistleblower, tells the paper, declining to say whether the tipster still worked at the bank. The whistleblower is declining interviews, Thomas tells the Journal. A JPMorgan spokesman declined comment to the paper. And the SEC doesn’t disclose information that could identify the whistleblower, the regulator says. 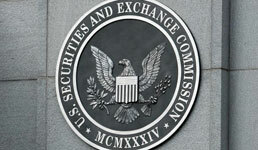 The SEC has paid out $376 million to 61 whistleblowers since its first award in 2012, according to the press release. The money for the awards comes from an investor protection fund set up by Congress and is paid for by sanctions imposed by the SEC on violators of its regulations, according to the regulator. Whistleblowers stand to get from 10% to 30% of the money the SEC collects on sanctions over $1 million, according to the regulator.